The chapel of St Marc is an important pilgrimage site, especially at the occasion of celebration of its holy protector (April 25 th). The precious sanctuary regularly houses classical music concerts. Since 1627 a hermit lived in the neighbouring hermitage. He was in charge of the security of the place. 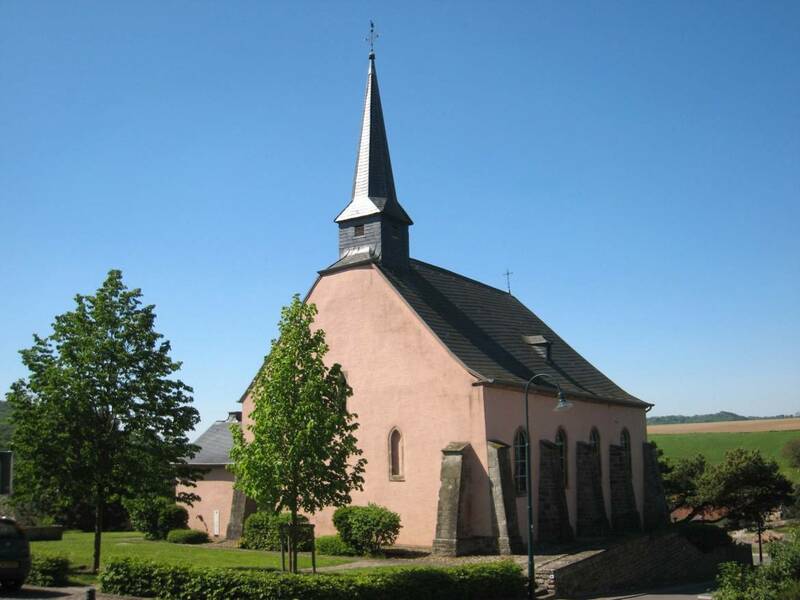 The actual form of the chapel dates back to the 16th century. The sanctuary presents tow naves separated by a colonnade. The choir is divided into three axis. A roofed entrance hall may be distinguished at the western side. 1757 a second entrance was broken into the northern wall. The geometrical paintings date back to the 16th century. A baroque altar dominates the choir. On the left side the visitor discovers a modern representation of the Virgin, whereas on the right side, he will be impressed by a cross dating back to the early 1600. The cross-stations were realized in the 19th century. The modern art windows had been concieved in 1989 by Emile Probst, an artist born in Vianden and living in Brussels, and who was a member of the lobbying group for abstract art "Iconomaques". The ancient hermitage hat been transformed into a holiday apartment for 12 guests (T +352 80 71 24).